Anita and I have been in Baja for the last month. On our way back we swung through Death Valley to see the ‘super bloom.’ It had waned by the time we got there — apparently a combination of hot weather followed by high winds had finished the thickest patches, and quite a few of the plants had spent flower heads mixed in with the fresh blooms — but there were still some impressive areas. 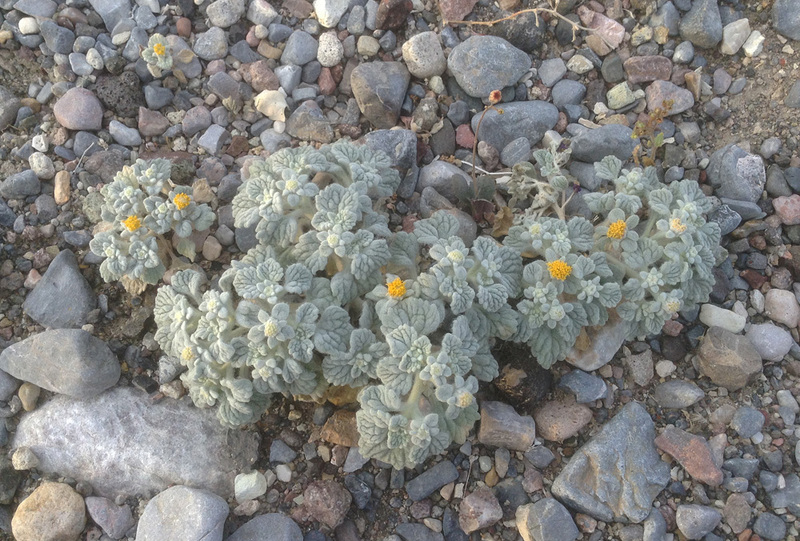 Desert Gold was the most prolific. 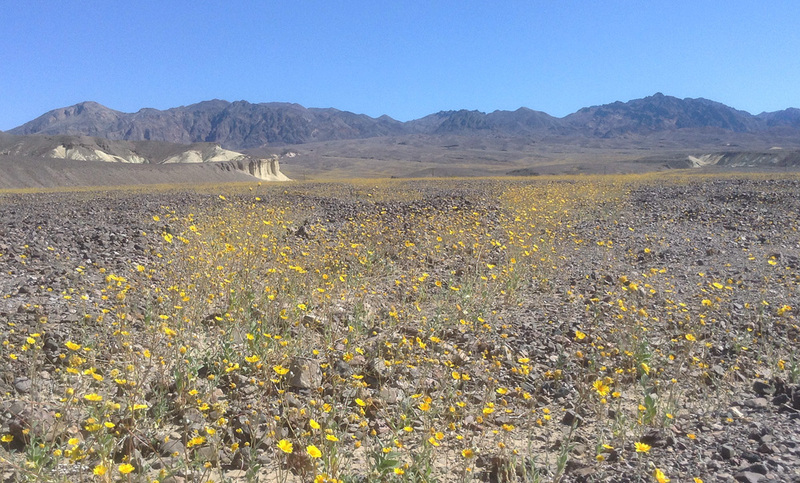 It made bands of color in the distance but up close it was politely spaced so we could wander around without stepping on any flowers. An impressive number of other species were mixed in with it. 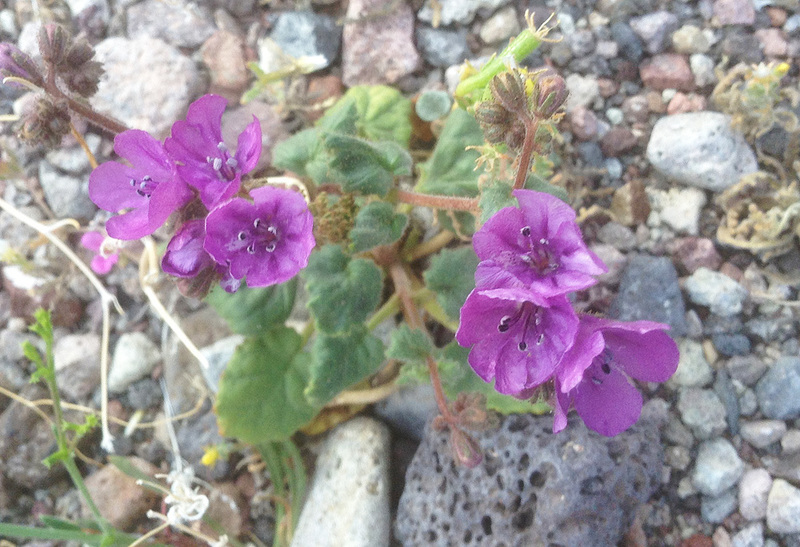 My personal count came to over 20 different species inside the park, including a number of flowers I’d never seen before. 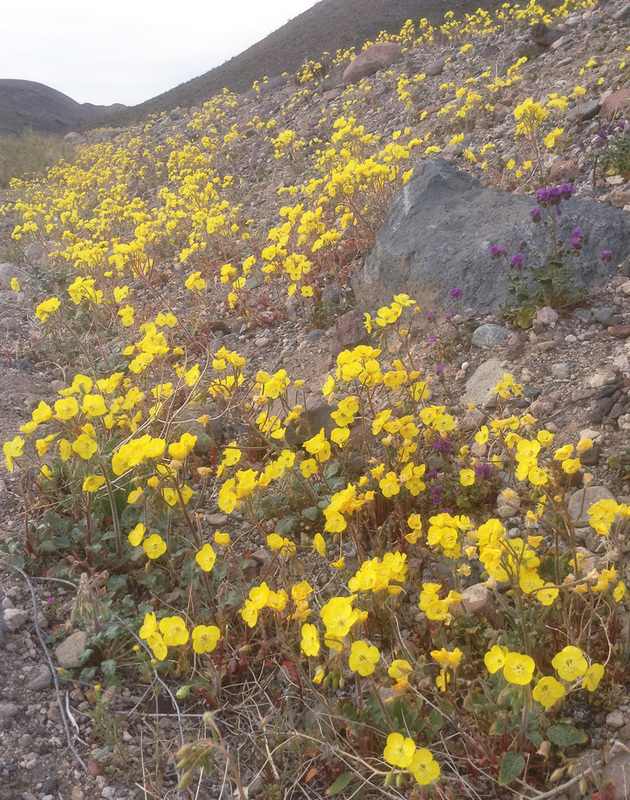 The yellow Camissonia was my favorite of the wildflowers. Such a clear, crisp yellow. 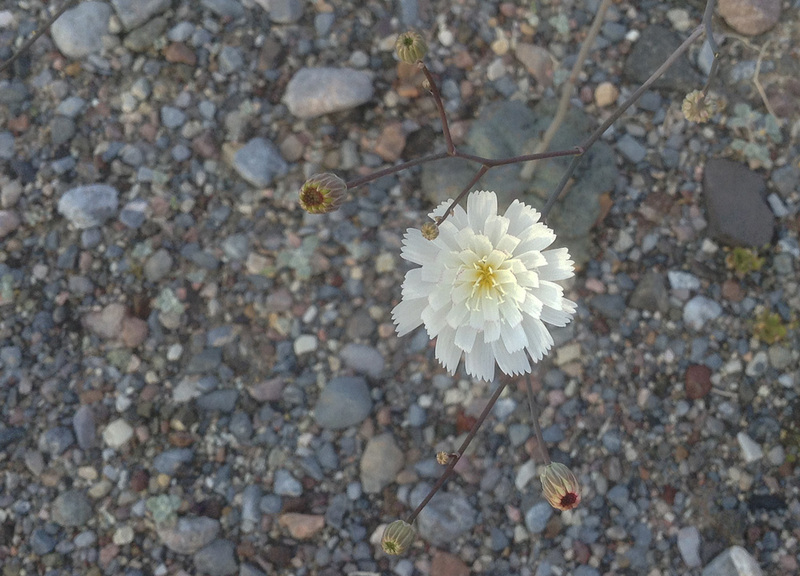 Gravel Ghost was another favorite, with the white flowers high over a ground-hugging rosette. 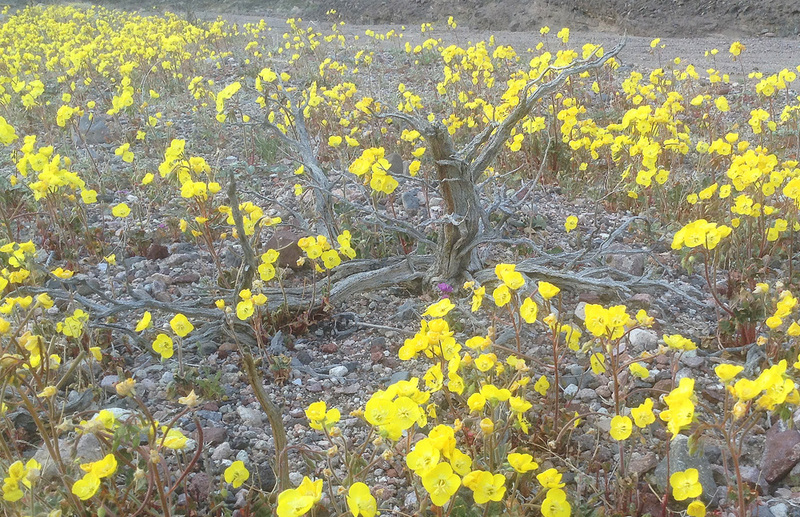 I’ll have some posts about Baja, the main focus of our trip. 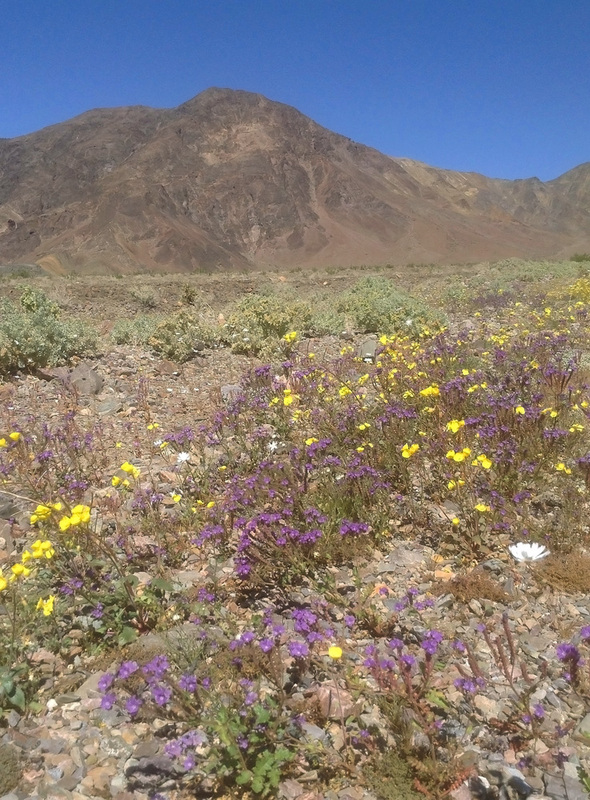 There is more wildflower photo bling at this Death Valley Wildflower Report. This entry was posted on Wednesday, March 16th, 2016 at 7:33 am and is filed under california natives, plants, wildflowers. You can follow any responses to this entry through the RSS 2.0 feed. You can leave a response, or trackback from your own site.